I have three postcards dated Sept 10th 1903 from Weston-Super-Mare Sea Front. 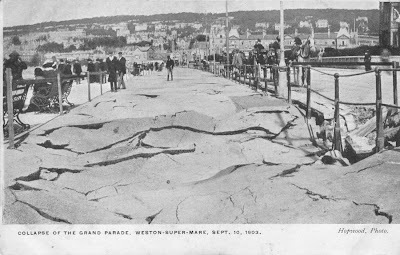 This one is Collapse of the Grand Parade. There is also Gap in the Weston Pier, and Breach in the Causeway.